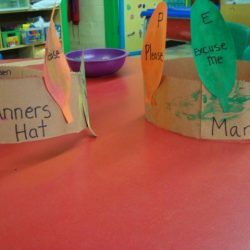 At Toddler Town, learning about good manners is part of the curriculum. 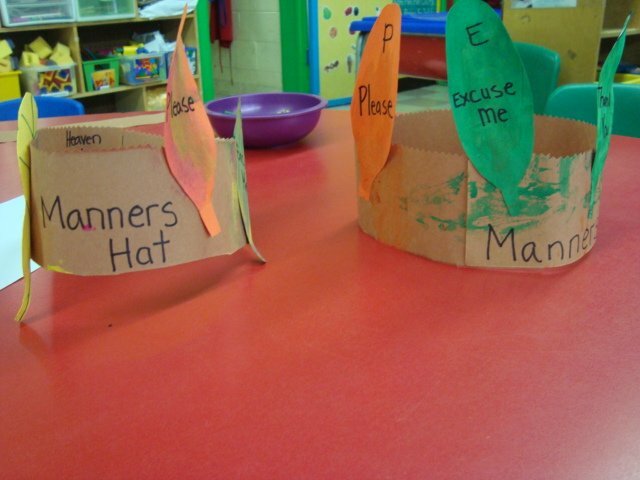 Our kids have a lot of fun making their manner hats. 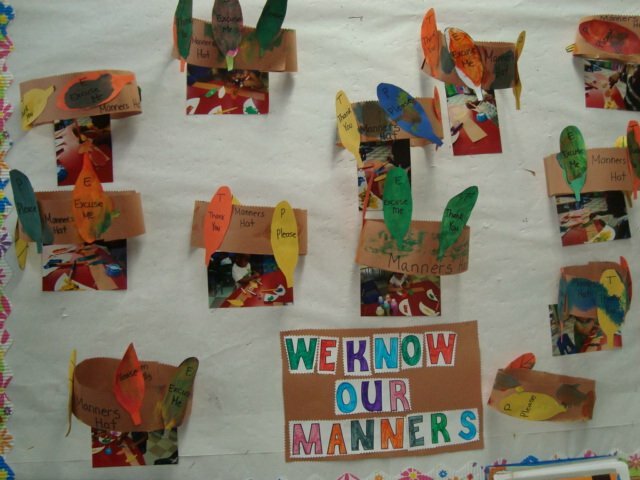 Here’s a great way to help your child learn and understand manners at home! 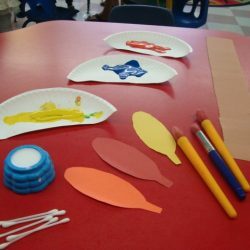 • Colorful cutouts on which you can write down all the manners that your child currently knows. 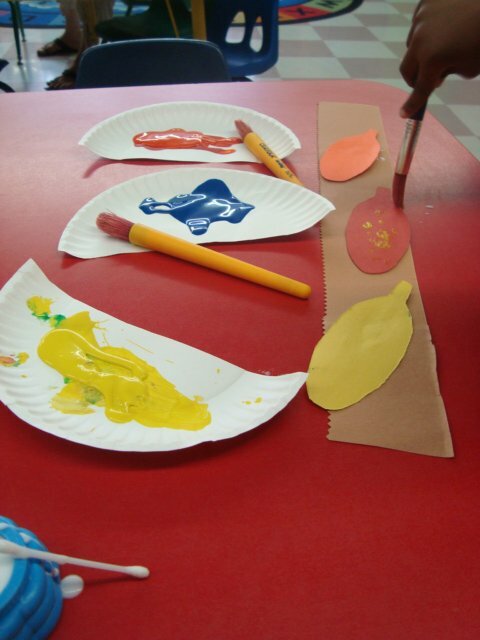 Step 1: Paint the brown bag and the cutouts. Step 2: Glue the strips and cutouts. Step 3: Write down all the manners your child knows and uses. Step 4: Add a new cutout when a new manner is learned! 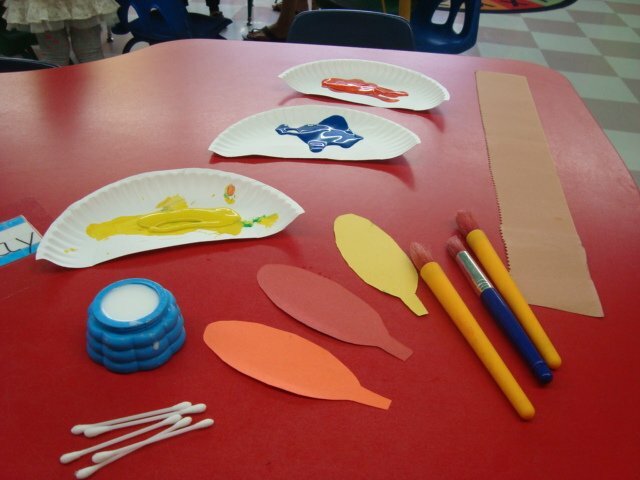 Have the kids paint the brown bag and the cutouts the way they like. 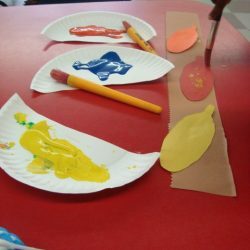 You can have them do it themselves or you can help them glue the strips in a circle first and then glue the cutouts on the strips. 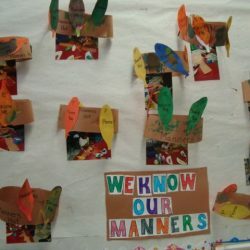 Before gluing everything together you or your older kids can write down all the manners they know and use. As soon as they master a new manner you can put a new cutout on the hat!